after write C# programme ability create connection. That is connecting excel to a database, not connecting to excel. 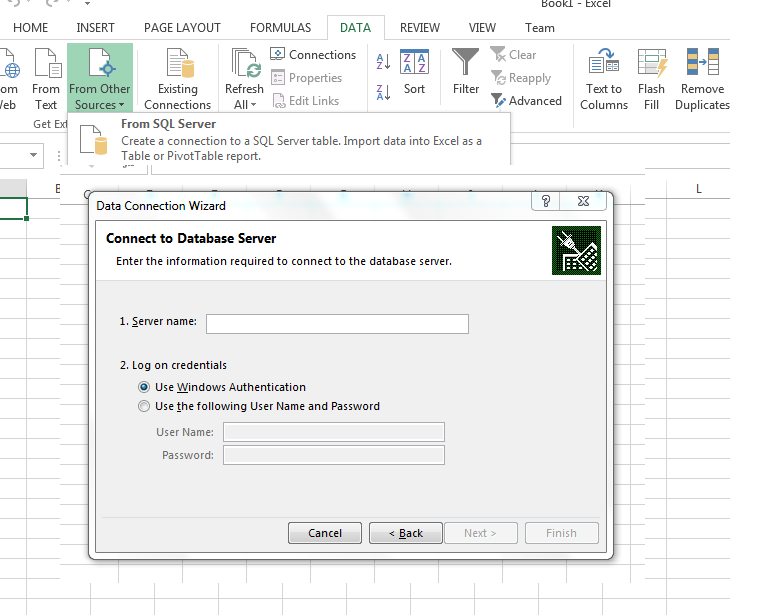 it would be probably easy to connect to excel using an OLEDB Data Object Library. you can refer to this article for more info. so, treat your Excel as a data source.